Here's a picture of the AMX upon arrival in Boston, MA. More pictures of the AMX can be found here. What's Project Charity: AMX all about? 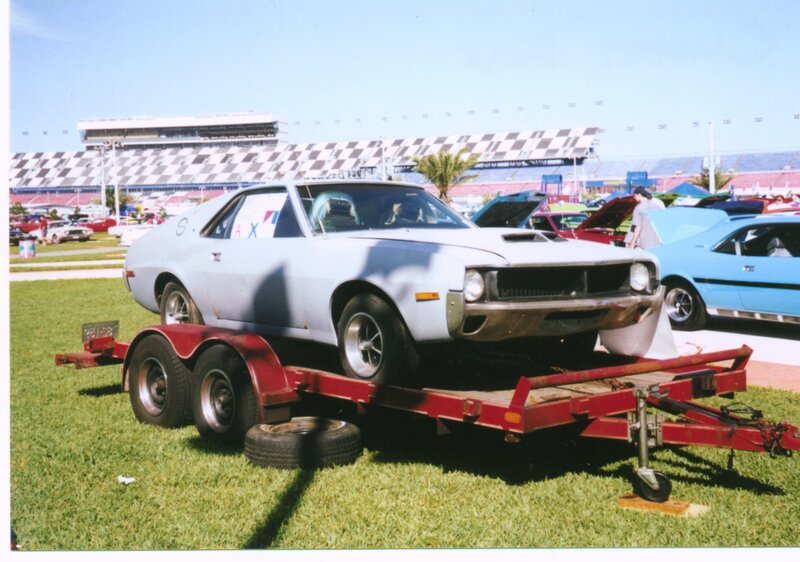 Project Charity: AMX is a group of dedicated AMC enthusiasts who have joined together to restore a 1970 AMX in an effort to raise money for various children's charities. The AMX is being sent around the US to be restored by various AMC clubs. Hanna recently completed a trip to the blast shop where the front end and trunk of the car were stripped. Click here for pictures. Follow Along At The AMC Forum! In addition to the progress reports here, Tom Benive is posting a restoration log at http://theamcforum.com/forum/forum_posts.asp?TID=6258 featuring Hanna. 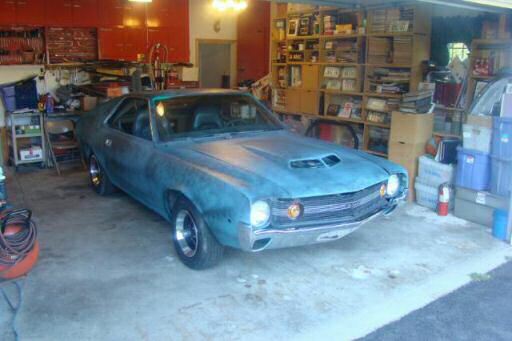 When it comes to 68-70 AMX's, Tom is the next best thing to having a time machine. Since it's inception, the Charity AMX hasn't been known as anything other than "The Charity AMX". The car has now been given a name: Hanna. This name was chosen in "honor" of the remnants of Hurricane Hanna which pelted the Boston area during the first work party. Read more. After a long time spent waiting for two different body shops to paint the car, the decision was made to move the car back to East Bridgewater, MA where it will be painted and finished. The car was picked up from Auburn Hills, MI on August 14th, 2008, made a stop at the Chilson AMC Family Reunion on Saturday, August 30th, and was delivered to Tom Benvie on August 31st. You can read more about this at The AMC Forum. We are currently looking for parts to complete the car. If you can provide any of the parts we are looking for (or money to purchase them), please contact Tom Benvie at 508-378-1423 or see "How To Donate". The Parts Wanted List (updated August 23, 2008) has the current list of parts we need but it would be best to contact Tom prior to sending anything. If you would like to donate time, parts, or money to this project, please see the How To Donate.